They are so sharp...makes me proud! Seriously, there is nothing sexier than a well dressed man. Style, confidence and paying attention to details makes the man. I hope they inspire other men in the Virgin Islands to get DRESSED! Quoting the words of Biz Markie on this one…”Damn it feels good to see people up on it” we bring to you Forever Kings and their piece, “Kings Attire” The Genesis. 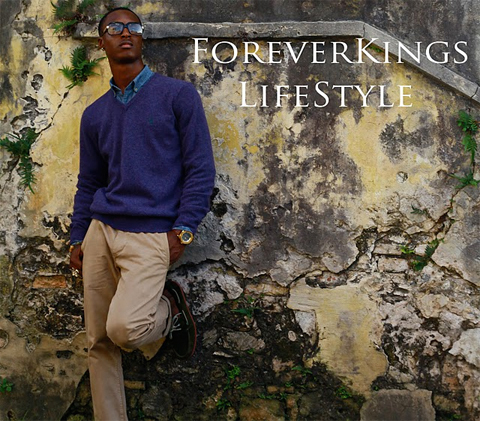 Forever Kings is a collective of individuals who are claiming regality because they know what they are worth and claim that title as humbly as they can. In doing so, they are performing duties and carrying themselves in a manner that is admirable and respectable while attaining the goals they have set for themselves. Quite simply…doing as kings do. Kings Attire "The Genesis" from ForeverKingsTV on Vimeo. Thanks for the support. We really appreciate it. No problem Boss! I'm loving what you guys are doing!